Gold is a very hot topic of discussion among investors and many of my readers have asked me about gold as an investment option. I am all biased towards equity investments but Gold ETFs can be considered in 2017 but a complete no to physical gold for investment. So what is Gold ETF? Exchanged traded funds or ETFs are different from mutual funds and it is advisable to invest in an ETF over an index based mutual fund. If you want to know why ETF is advisable over the index based mutual fund, check out ETF vs Mutual funds comparison here. The gold exchange-traded fund is a special type of exchange traded fund (ETF) whose performance is matched to the price of Gold. The performance of any ETF doesn’t vary too much to the price of Gold and you don’t have the risk of storing physical gold in lockers. Gold ETF like any other ETF’s can be bought and sold like any stock on NSE or BSE and is kept exactly like you keep the shares of a company in your DEMAT account online. Why Gold as an Investment Option in 2017? Gold in the last 5 years has broadly remained in the range of 2500 to 3000 (per gram). Chart from kite software of Zerodha. Analyzing the chart, we find that in most part of 2015 it remained below 2500 and from there on it started it’s moving up. A similar trend is seen in gold internationally. One significant difference from international gold price to Indian Gold ETF price is – in international market a peak of $1900+ and then corrected to almost $1000 levels but in India, it had a peak at ₹3000+ and corrected to only ₹2250 level. Clearly, we Indians have a lot of affinity towards buying (I intentionally mention the word buying than investing) gold. I think there are multiple factors that can impact the price of gold in the international market. International uncertainty – I don’t need to re-iterate the uncertanity in US and break down of Europian union. In such uncertain time, gold can always be the choice of investments for many countries which can lead to an increase in price of gold. Growth expectation in US – Growth coming back in US can mean an increase in the price of gold internationally. Very little Downside – Every few years the commodity cycle reverses and in 2016 price of metals is on the rise including gold and so there is very little downside expected from here. Diversification – Gold can act as a good diversification. When all other funds fail to perform, gold can contribute solid returns to your financial kitty. So this may be a good time to consider a SIP in gold ETF. But only 8 are being traded. Others aren’t traded and I couldn’t find more information about them either. 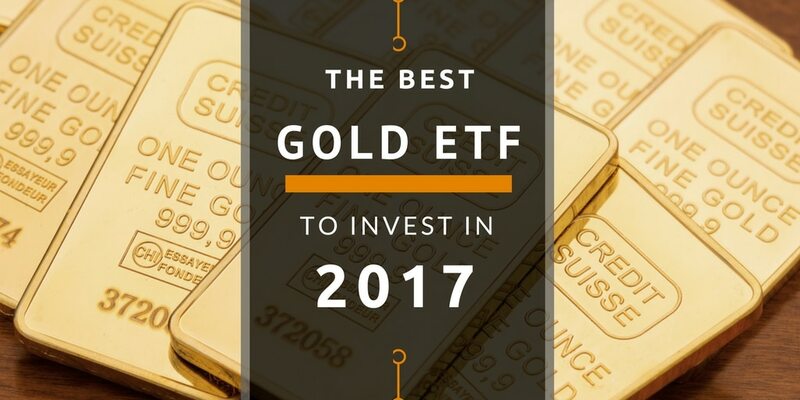 To nail down to the best gold ETF, we will compare each of those ETF for actively traded because it can help you liquidate the investment easily. KOTAKGOLD and GOLDBEES are by far the most actively traded Gold ETF and should only be considered for investing as Gold ETFs. Others are best avoided. 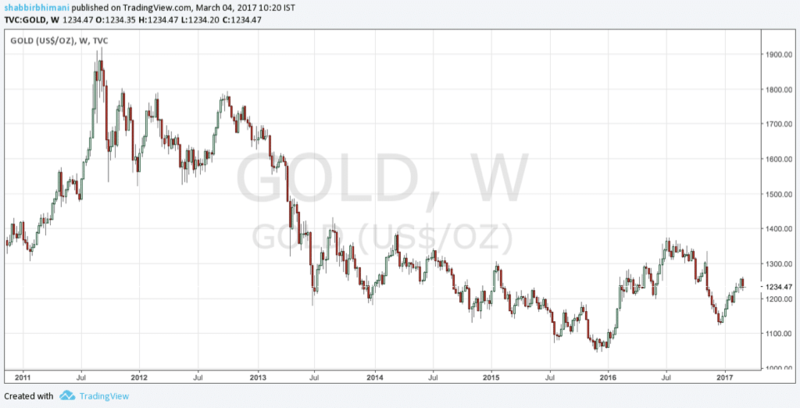 A myth among investors is – Gold ETF is Gold but that it is not true. Gold ETF is by no means is Gold but is an equivalent of gold. ETF is a reflective price of GOLD and ETF may not hold the exact amount of gold but majority (90%+) of its asset is gold. So a Gold-ETF means it has Gold but also has some cash and cash equivalent as well. The return from investment in gold has been almost 0 for last 5 years. With the political uncertainty, it could be ideal for the gold to break on the up side and investment in a Gold ETF can be a good diversifying opportunity in 2017.